At a distance of 12 km from Bhandardara, 165 km from Mumbai & 174 km from Pune, Kalsubai Peak is a mountain peak in Sahyadri Hills in Ahmednagar district of Maharashtra. The peak of Kalsubai perched at an altitude of 5400 feet (1646 m) and it is the highest peak in Maharashtra you must include in Maharashtra packages. 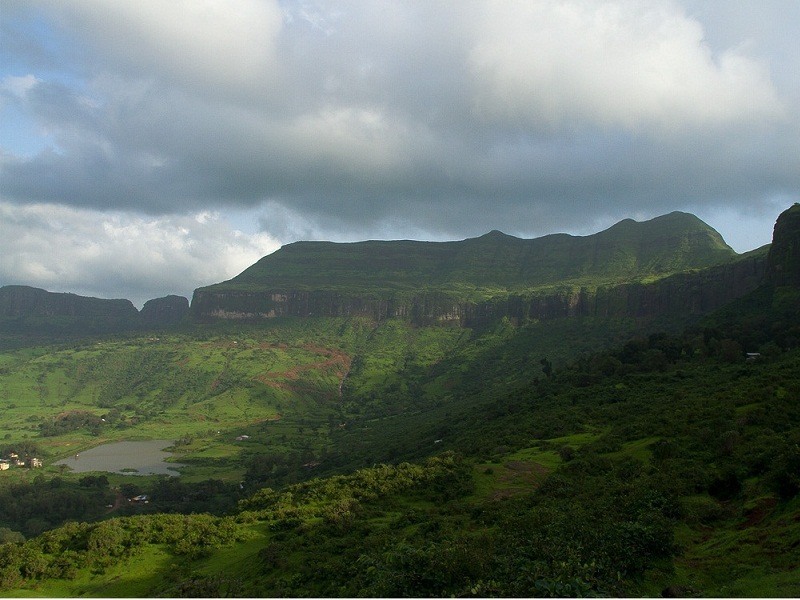 The Kalsubai Peak lies within the Kalsubai Harishchandragad Wildlife Sanctuary. It is one of the top things to do in Bhandardara. 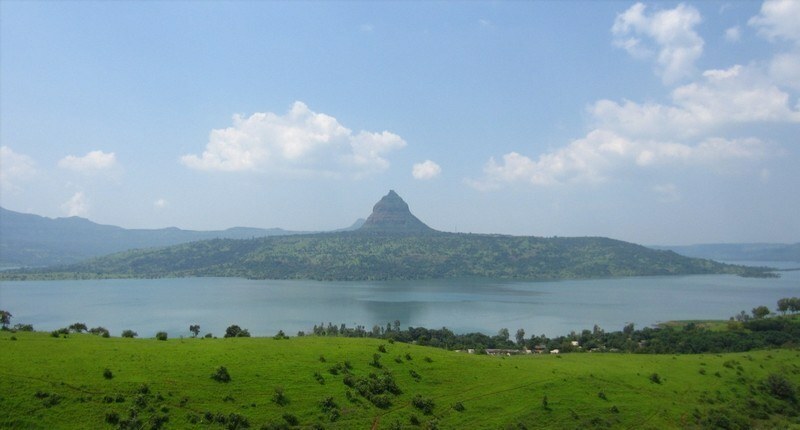 The peak is a small plateau and offers a commanding view of nearby forts and Bhandardara Dam. It was used for keeping watch on their enemies during the Maratha rule in the region. Kalsubai Temple is Located at the topmost peak of Sahyadri mountain range of Maharashtra. At a distance of 32 km from Pune Junction, Sinhagad or Sinhagarh means the Lion Fort, is a fortress located southwest of Pune City. 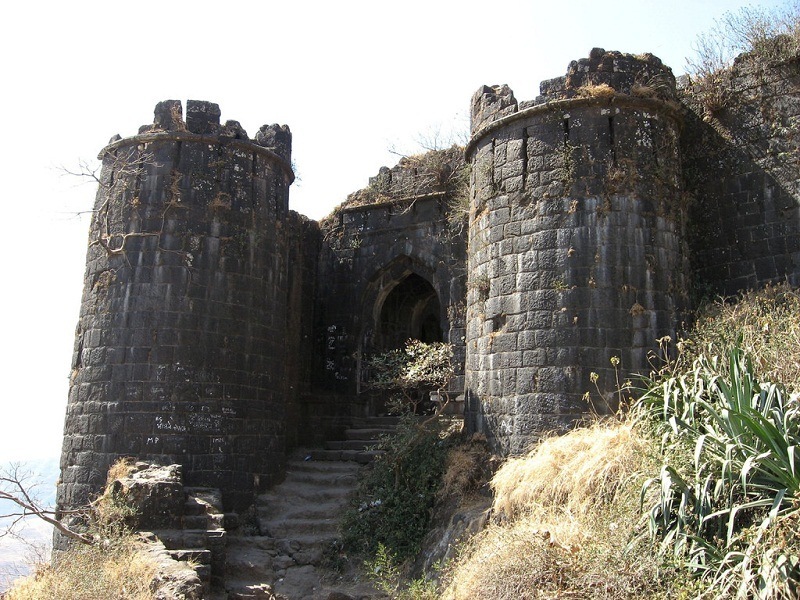 Sinhagad Fort is one of the popular places of trekking in Pune and also one of the top places to visit near Pune City. Previously called Kondana, the fort has been the site of many important battles, most notably the Battle of Sinhagad in 1671 CE. According to history, the fort was built 2,000 years ago and it is said that the name Kondana was derived from sage Kaundinya. Mohammed bin Tughalak captured the fort from the Koli tribal chieftain, Nag Naik in 1340 CE. And in 1496 CE, Malik Ahmad, the founder of the Nizam Shahi dynasty took control of the fort. 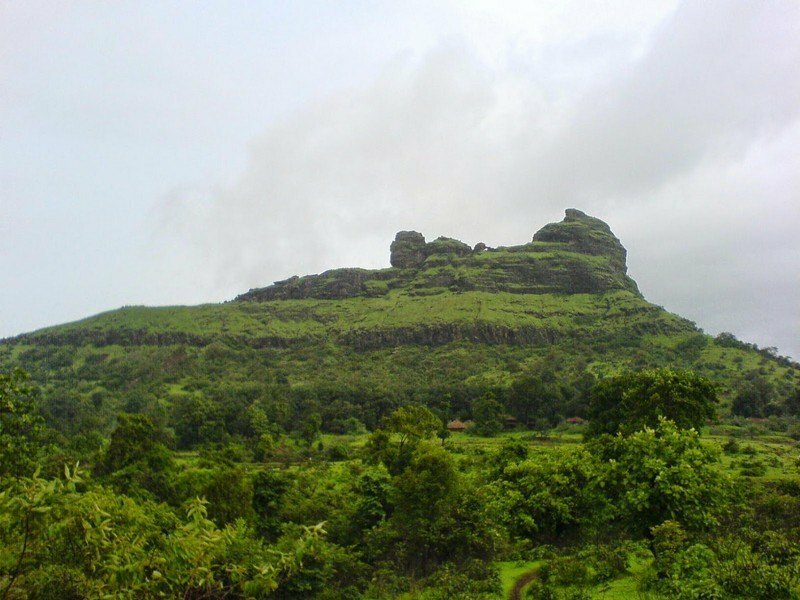 At a distance of 6 km from Ratanwadi, 23 km from Bhandardara, 183 km from Pune & 197 km from Mumbai, Ratangad is an ancient hill fort situated at Ratanwadi village in Ahmednagar district of Maharashtra. 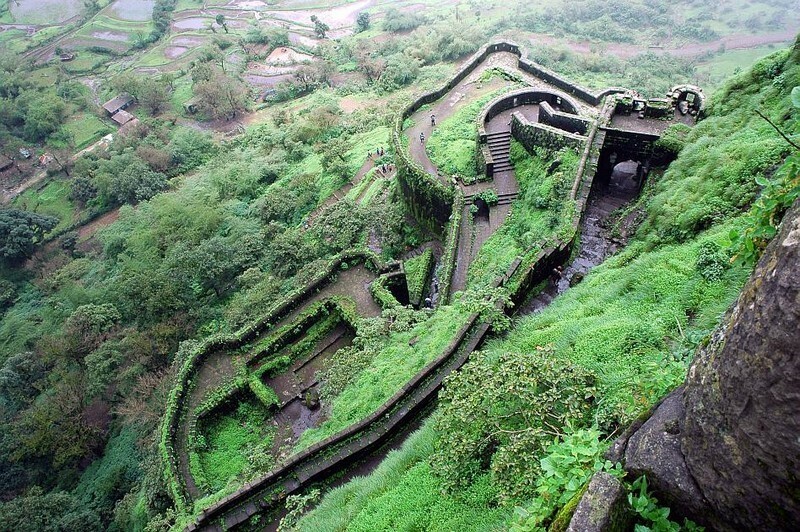 It is one of the best forts in Maharashtra and an ideal place for trekking around Mumbai & Pune. The Ratangad Fort is one of the most popular places to visit in Bhandardara and the place leaves visitors spellbound with its rich heritage. The fort is located at a height of 4250 feet. Ratangad Fort is 400 year old fort, which was used by Maratha warrior Shivaji. The fort was initially ruled by the Mughals and it was conquered by Shivaji Maharaj. At a distance of 20 km from Mahabaleshwar, 140 km from Pune & 221 km from Mumbai, Pratapgad, also known as Pratapgarh, is a large hill fort located in Satara district of Maharashtra. The fort lies at an altitude of 1080 m and is built on a spur which overlooks the road between the villages of Par and Kinesvar. 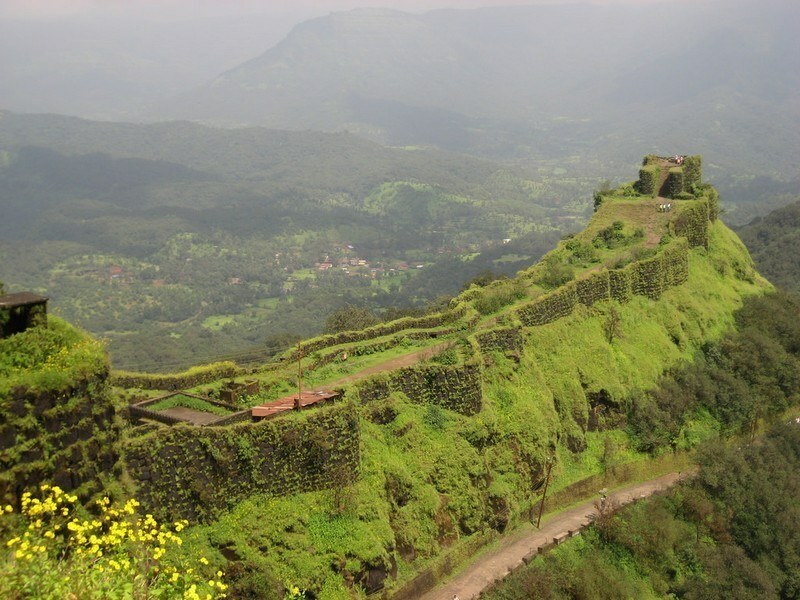 It is among most scenic places in Mahabaleshwar and one of the best forts near Pune. It is also one of the best heritage places to visit near Mumbai and another popular attraction not to miss in a Mahabaleshwar packages. 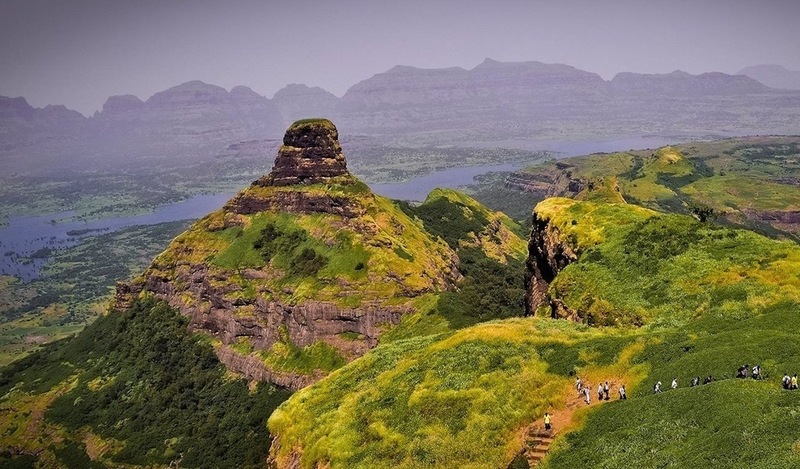 At a distance of 8 km from Khireshwar, 50 km from Bhandardara, 166 km from Pune & 218 km from Mumbai, Harishchandragad is a historical hill fort situated in Ahmednagar district of Maharashtra. Situated at an altitude of 1,424 m, the fort once played a major role in guarding and controlling the surrounding region. Harishchandragad is very popular place for trekking in Maharashtra and also one of the famous Bhandardara tourist places. The fort originally dates back to the 6th century during the rule of Kalchuri dynasty. The citadel was built during this era and various caves probably have been carved out in the 11th century AD. Sage Changdev used to meditate here in 14th century AD. Later the fort was under the control of Mughals and Marathas captured it in 1747 AD. Remnants of Microlithic human inhabitants have been discovered here. The various Puranas like Matsyapurana, Agnipurana and Skandapurana have many references about Harishchandragad. At a distance of 17 km from Matheran and 8 km from Diksal, Garbett Point or Garbut Point is located near Matheran with grand view of the plateau below. The huge plateau gives a view to various waterfalls on the neighboring mountains. This place is also one of the top things to do in Matheran hill station and it is one of the must include places in Lonavala packages..
Garbut Point, situated about 5 km walk from Matheran Railway Station, is a comparatively secluded and less visited vantage point. Flanked by a gorgeous valley on one side and the thick jungle on the other, Garbett Point is a place from where enthralling views of sunrise and sunset can be observed. At a distance of 15 km from Lonavala, 15 km from Khandala, 82 km from Mumbai & 82 km from Pune, Rajmachi Fort is an ancient fort situated in Pune district of Maharashtra. 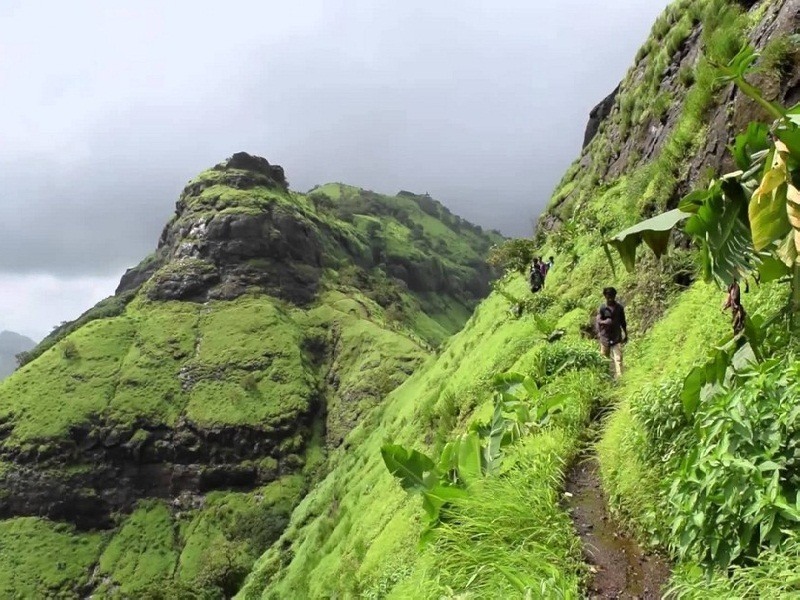 It is one of the popular tourist places near Mumbai for trekking and also among the best places to visit in Lonavala. This famous fort in Maharashtra lies at an altitude of 2710 feet. This is a protected monument and is among the most popular attraction not to miss in a Lonavala tour packages. At a distance of 3.5 km from Neral Railway Station,13 km from Matheran, 88 km from Mumbai & 117 km from Pune, Peb Fort, also known as Vikatgad, is an ancient fort situated near Neral in Maharashtra. 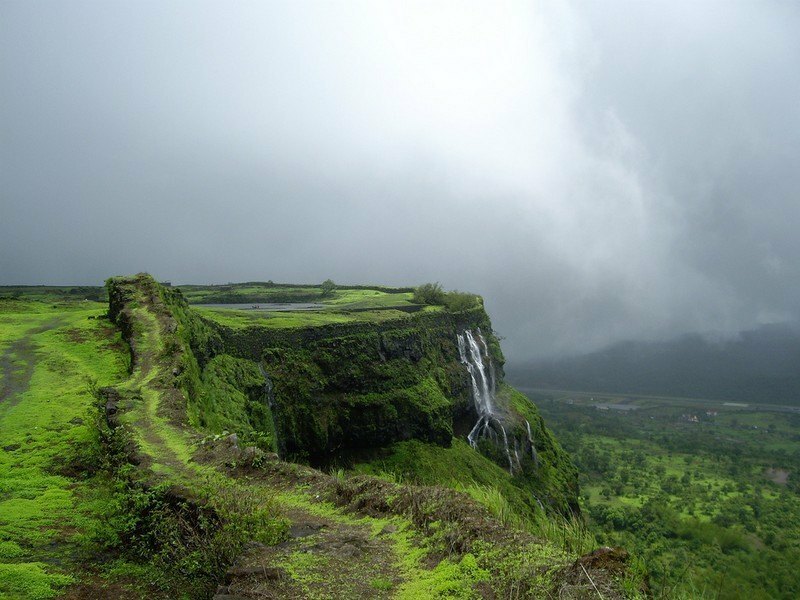 This is one of the popular one-day monsoon treks near Mumbai and also one of the top things to do in Matheran hill station. The fort lies at an altitude of 2100 feet above mean sea level. The fort derives its name from the Goddess Pebi at the base of the fort. The fort is also named as Vikatgad for its supposed shape of the Elephant Headed God, Ganesh. Historical references clearly indicate that Shivaji Maharaj used the caves on the fort to store the grains. At a distance of 46 km from Matheran, 16 km from Panvel, 61 km from Mumbai and 117 km from Pune, Prabalgad Fort or Prabal Fort is located between Matheran and Panvel in Maharashtra. It lies at an altitude of 2300 feet in the Western Ghats. This is one of the most beautiful tiny forts in Maharashtra and a great place for trekking near Mumbai. The fort was built on a plateau very close to Matheran. Prabalgad Fort was built during Bahmani Sultanate to keep an eye on Panvel Fort and Kalyan Fort in North Konkan. It was known as Muranjan until it was taken over and renamed by the Maratha forces under Shivaji's rule. This magnificent fort was captured by Chhatrapati Shivaji from the Mughals. Historians believe that there was a treasure hidden inside the fort at the time of its capture. At a distance of 40 km from Matheran, 19 km from Karjat, 66 km from Mumbai & 115 km from Pune, Irshalgad is a fortress located between Matheran and Panvel in Maharashtra. 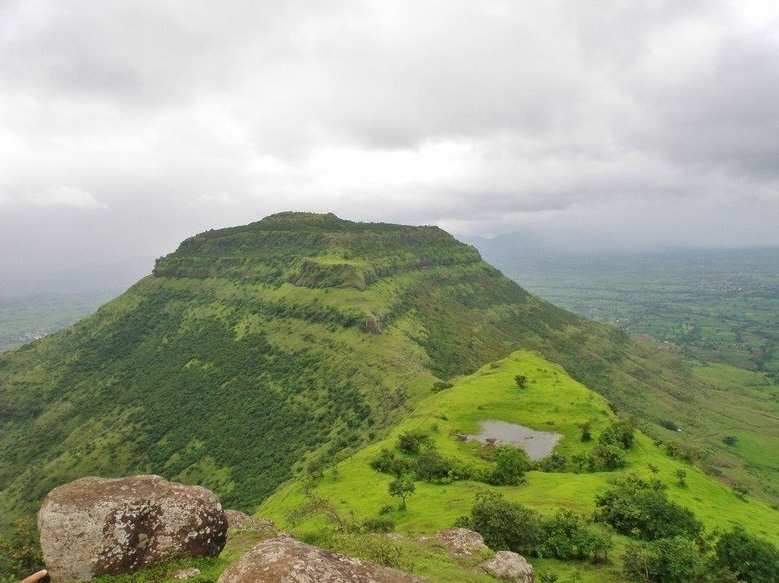 It is a twin fort to Prabalgad and among ideal weekend getaways near Mumbai. The area of the fort is not large but there are several water tanks cut from the rock. 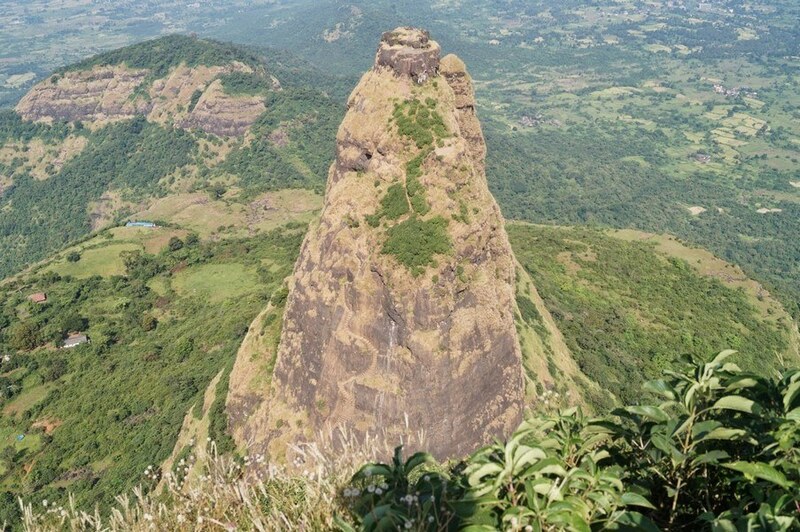 Irshalgad pinnacle is accessible by an easy to moderate 3 km trek and it takes about 1.5 hours. The trek starts from Karja village which is about 11 km from Karjat Railway Station. From Karja village one can follow a well-defined path till Irshalwadi village. The path from Karja passes through a steep ridge and then tapers to an easy ascend till Irshalwadi. From the village one has to walk straight up to a small temple dedicated to a local deity. Take left from the temple, standing at this point one can see the Irshalgad peak on the right side. However one has to traverse from left to reach the base of the pinnacle. At a distance of 18 km from Bamnoli, 56 km from Satara, 70 km from Mahabaleshwar and 82 km from Panchgani, Vasota Fort is an ancient hill fort situated at an altitude of 1171 m near Bamnoli in Satara district of Maharashtra. The fort is situated in the deep forests and valleys of Koyna Wildlife Sanctuary. It is one of the best places to visit in Satara and also one of the popular places of trekking in Maharashtra apart from being an ideal picnic spots near Pune for one day trip. Situated on the banks of the Shivsagar Lake, Vasota Fort is surrounded by water on three sides. The Fort was built by King Bhojraj II of Shilhara dynasty in 1178-1193 AD. Chhatrapati Shivaji Maharaj captured the fort in 1655 AD and renamed it as Vyagragad. In 1818 AD along with other forts of Marathas this fort also came under British control. At a distance of 26 km from Satara, Chandan - Vandan Forts are twin forts situated at Belmachi in Satara district of Maharashtra. Chandan - Vandan Forts are among the top Satara tourist places. Chandan - Vandan Forts were built by king Bhoj II of Shilhara dynasty in late 12th century. 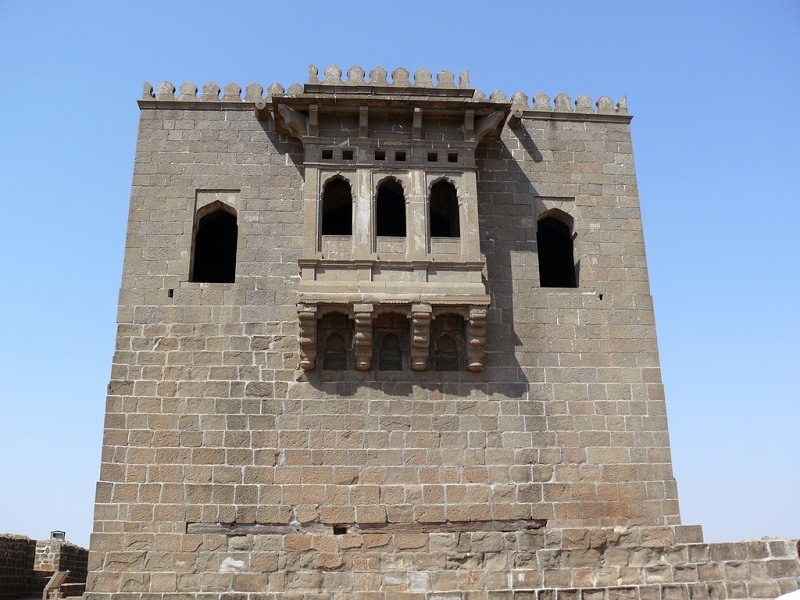 Shivaji Maharaj won these forts from Adil Shah of Bijapur in 1673 CE along with Kalyangad, Sajjangad, and Ajinkyatara during the campaign of Satara. It was under the control of Marathas till 1689 CE after it passed in the hand of Moghuls. In 1707 CE, the fort was occupied by Marathas under Sahu Maharaj. 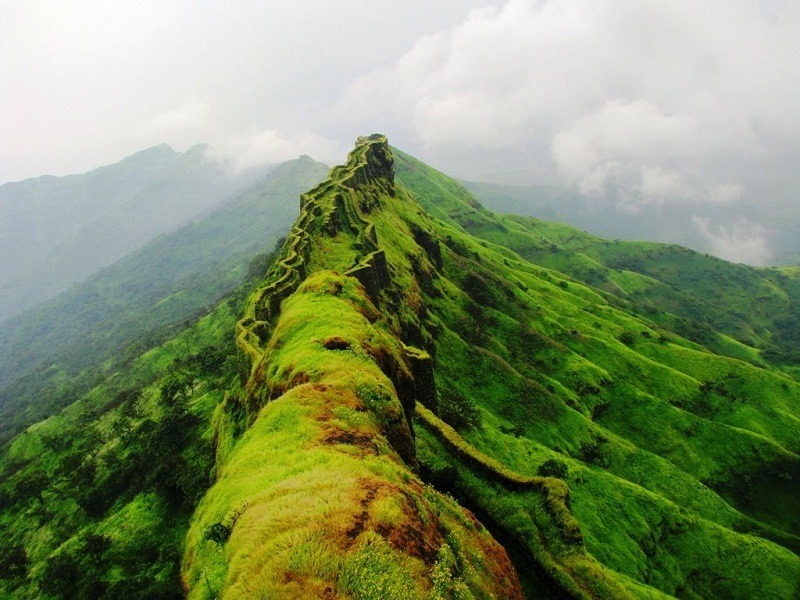 At a distance of 54 km from Pune, Rajgad is an ancient hill fort situated in the Pune district of Maharashtra. 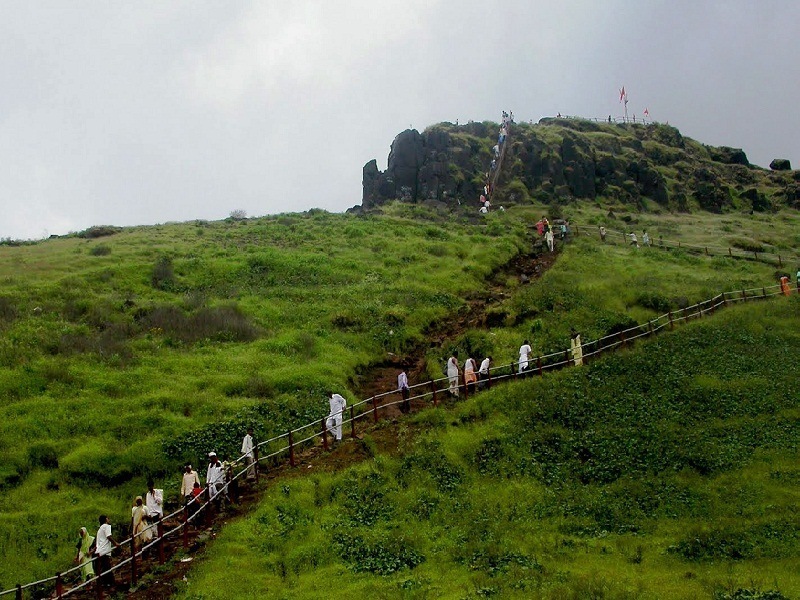 It is one of the top tourist places in Pune and also one of the popular places of trekking in Maharashtra. Rajgad Fort is one of the grand forts of the Sahaydris and lies at an altitude of 1400 m (4, 600 feet). Formerly known as Murumdev, Rajgad Fort was the capital of the Maratha Empire during the rule of Chhatrapati Shivaji Maharaj for 25 years, before moving the capital to Raigad Fort. 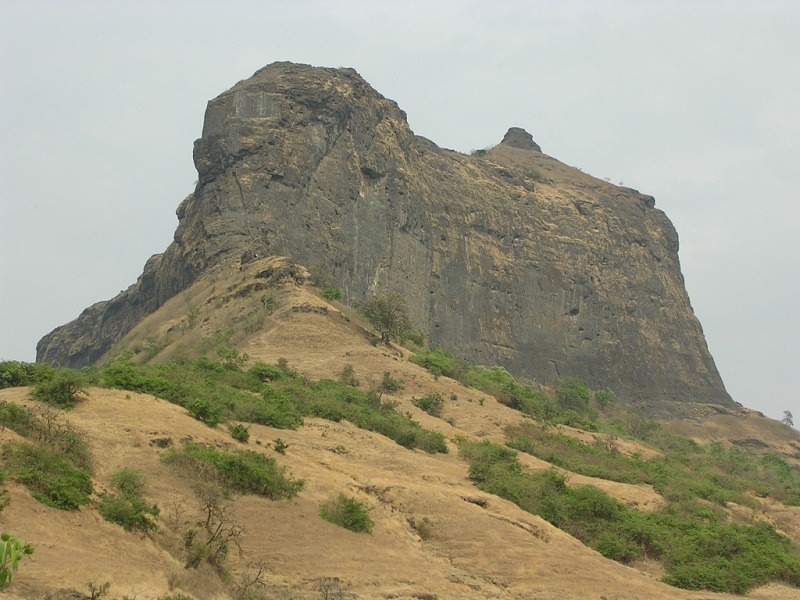 The Rajgad Fort was built with the treasure found on the adjacent Torna Fort. This was one of the favourite forts of Shivaji Maharaj and he stayed the most in this fort. Many historical events took place in this fort, such as the birth of Shivaji's son, Rajaram Chhatrapati, his queen, Saibai's death and Afzal Khan's head is buried in the fort. At a distance of 94 km from Pune Junction, Shivneri Fort is an ancient fort situated near Junnar in Pune district of Maharashtra. Shivneri Fort is one of the most magnificent as well as historically rich forts of India. 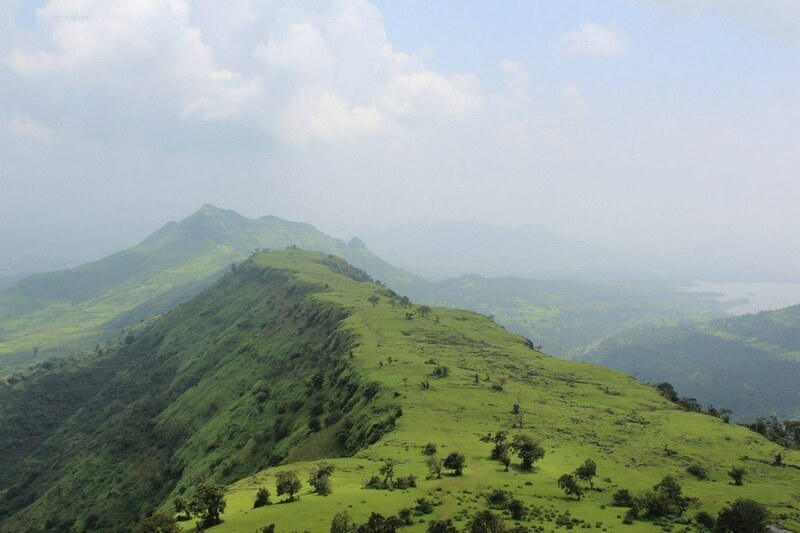 It is a famous trekking destination and also a popular weekend picnic destination near Pune. It is also one of the top tourist places in Pune visiting. The Shivneri Fort was built during the time of Satavahanas. After the Satavahanas, the Shivneri Fort was occupied by the Shilaharas, the Yadavas, and the Bahamanis. In 1599 AD the hill fort was granted to Shivaji's grandfather, Maloji Bhosale and passed down to Shahaji. Jijabai (Shivaji's mother) spent the days of her pregnancy here and this was the birth place of Shivaji, the famous Maratha warrior who was born in 1630 AD. Shivaji spent his childhood in Shivneri Fort and also undertook his military training here. At a distance of 3 km from Trimbakeshwar Bus Station and 31 km from Nashik, Brahmagiri is a mountain adjacent to Trimbakeshwar in the Western Ghats of Maharashtra. Situated at an altitude of 1,298 m, Brahmagiri is the source of the sacred River Godavari. Brahmagiri literally means the hill of Lord Brahma. According to the mythology, sage Gautama and his wife Ahalya resided on this hill. A cow was unintentionally killed by Saint Gautama while trying to ward it off. To wash his sins, he worshipped Lord Shiva to bring river Ganga on earth from the heaven. Pleased with Sage Gautama's devotion, Lord Shiva requested Ganga river to flow down in the form of Godavari to make Sage Gautama pure. Hence, the river is also known as River Gautami. At a distance of 10 km from Igatpuri, 50 km from Nashik, and 54 km from Trimbakeshwar, Tringalwadi Fort is located at Tringalwadi village in Igatpuri taluka of Nashik district. Located at an elevation of 3000 feet, the Tringalwadi Fort is one of the main attractions in Igatpuri region. The presence of the caves indicate that the caves and the fort might be constructed around 10th century. The fort was built to overlook the trade route which connected Konkan to Nashik area. There is no evidence regarding the period during which it was under control of Marathas, however, during the year 1688 AD Mughals took control over the fort. It is one of the 17 forts which were surrendered to British in 1818 AD. At a distance of 22 km from Trimbakeshwar and 45 km from Nashik, Harihar Fort or Harihargad is a small hill fort in Upper Vaitarana range near Trimbak in Nashik district of Maharashtra. 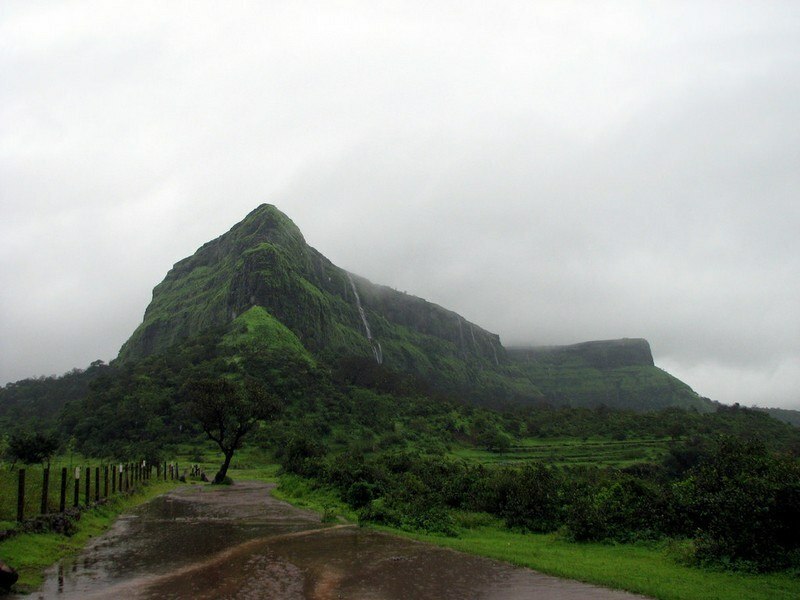 Also known as Harshgad or Harishgad, the fort is one of the popular monsoon trekking places near Nashik. Harish Fort was one of the forts in the possession of the Ahmadnagar Sultans. It was visited by Captain Briggs in 1818 AD. In 1636 CE, Harishgad, Trimbakgad, Tringalwadi and few other forts were given by Shahaji to the Mughals. Harishgad was one of the 17 strong places that surrendered to the British on the fall of Trimbak in 1818 CE. 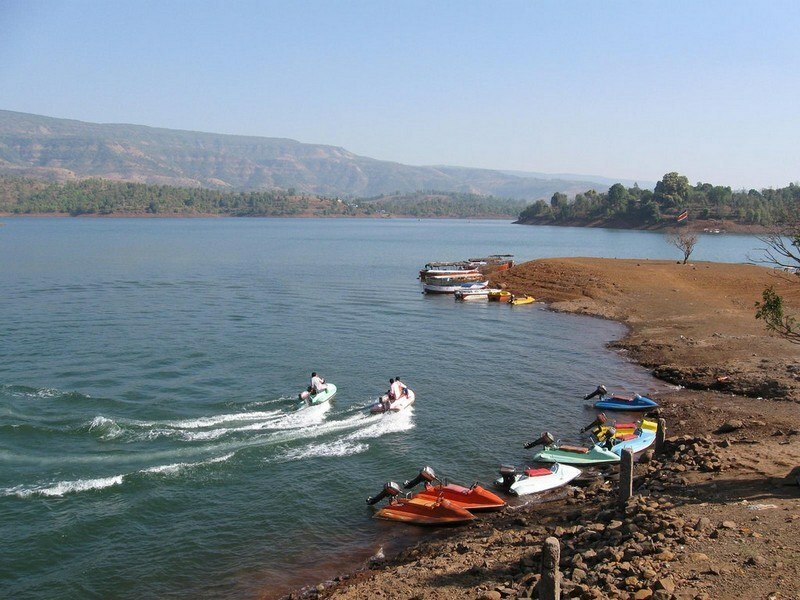 At a distance of 28 km from Mahabaleshwar, Tapola, famously called the Mini Kashmir of the West, is a rural hamlet with a magnificent Shivsagar Lake in the Satara district of Maharashtra. It is one of the famous tourist places to visit near Mahabaleshwar. Tapola is situated at the convergence of the rivers of Koyna and Solshi. 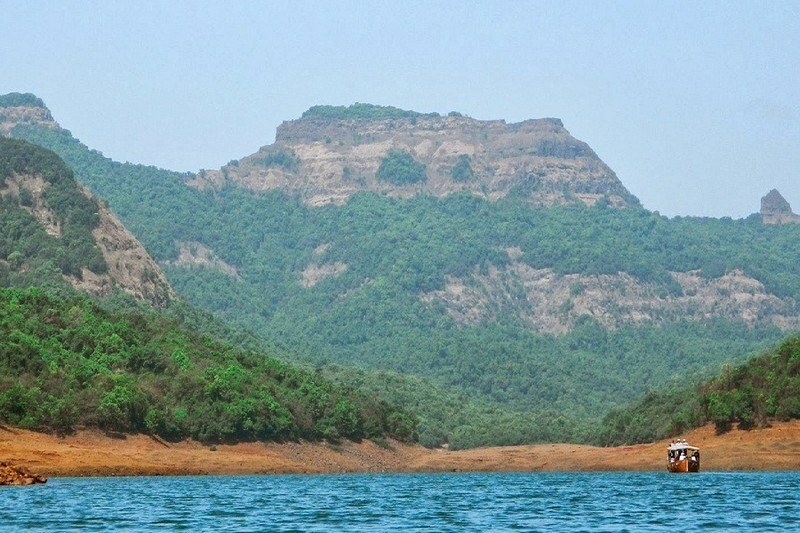 The primary attraction in Tapola is the Shivsagar Lake, a 90 km long water body infact the reservoir of the Koyna dam. The Koyna Dam is one of the biggest in Maharashtra and the Koyna Hydroelectric Project is the largest completed hydroelectric power plant of India. The lake offers boating, water scooter rides, kayaking and swimming. At a distance of 18 km from Lohagad Fort (3 km by Walk) and 24 km from Lonavala Railway Station, Visapur Fort or Visapoor Fort is a hill fort near Visapur village in Pune district of Maharashtra. It is part of the Lohagad-Visapur fortification. 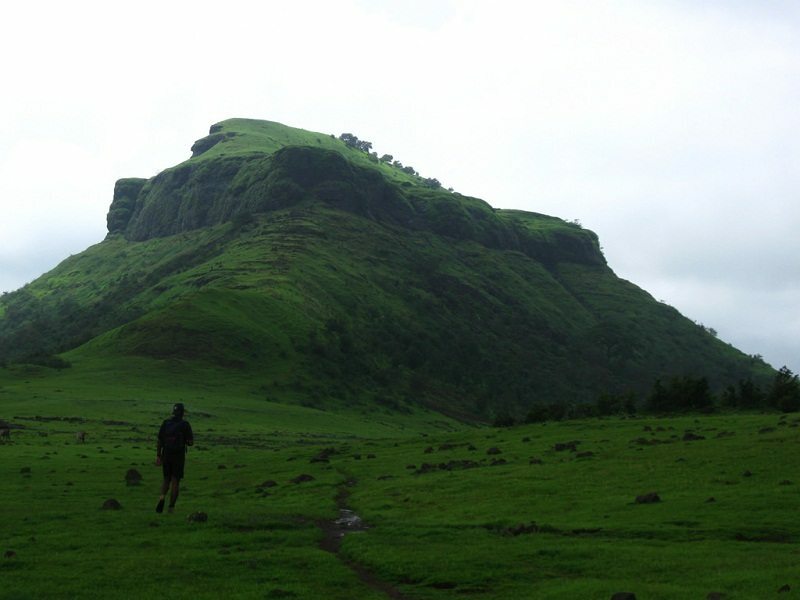 It is one of the popular trekking places in Lonavala and also one of the important places of interest in Lonavala. The fort has an elevation of 1084 m above sea level. It was built during 1713-1720 CE by Balaji Vishwanath, the first Peshwa of Maratha Empire. 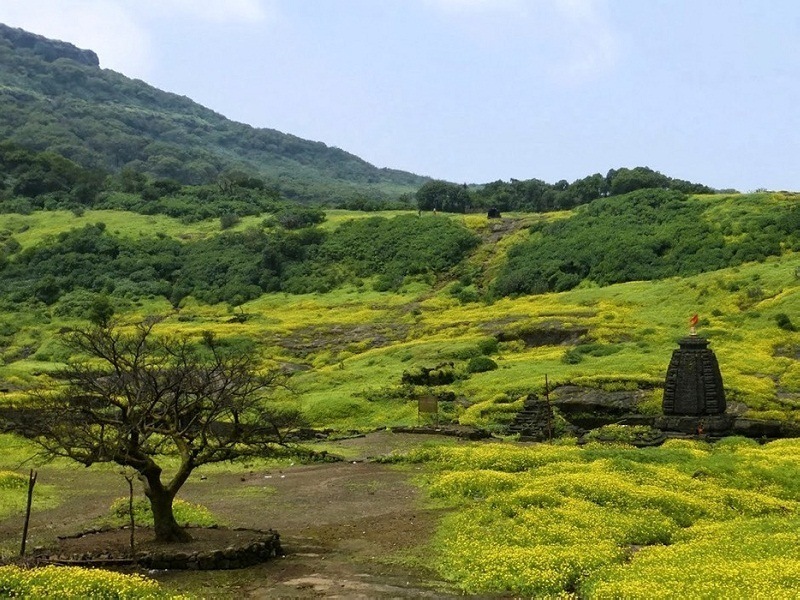 Visapur fort was built to guard the Lohagad Fort and it has an impressive fortification and plateau at its top. Making use of its higher elevation and proximity to Lohagad, the British troops set up their cannons on Visapur and bombarded Lohagad, forcing the Marathas to flee. Thus, in 1818, Lohagad and Visapur were taken over by the British. At a distance of 21 km from Lohagad Fort, 25 km from Lonavala, 53 km from Pune, 135 km from Mumbai and 22 km from Tung Fort, Tikona Fort, also known as Triangle Fort, is a dominant hill fort located in the Maval region of Lonavala in Maharashtra. The fort is one of the top places for trekking near Pune and also one of the popular tourist places near Pune & Mumbai for day trip. Renowned as Vitandgad Fort, Tikona Fort is located at an altitude of 3633 feet above sea level. At a distance of 24 km from Lonavala, 67 km from Pune, 121 km from Mumbai and 31 km from Lohagad Fort, Tung Fort is an ancient hill fort situated near Pawna dam in Pune district of Maharashtra. It lies at an altitude of 1075 m and is one of the best Lonavala attractions. It is also among well known Pune places to visit. 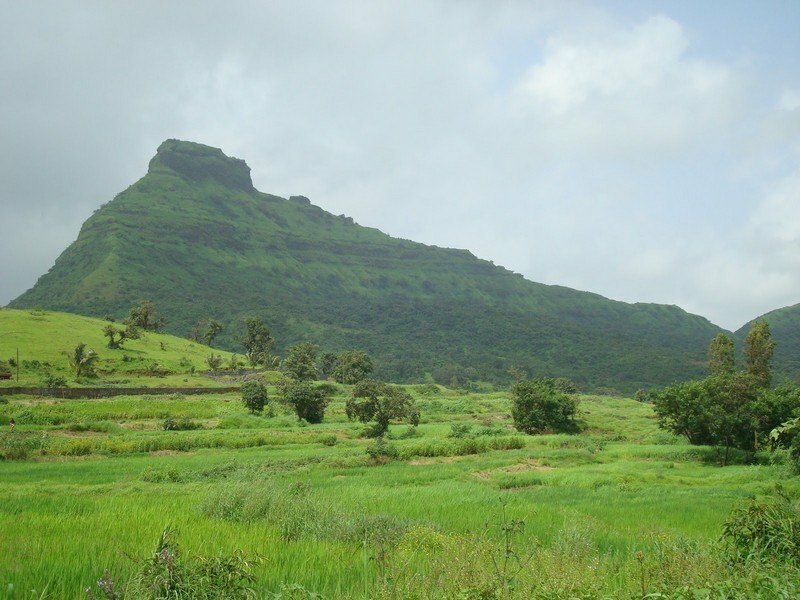 At a distance of 16 km from Tung Fort, 25 km from Lonavala and 32 km from Lohagad Fort, Korigad, also called Koraigad, is a hill fort in Pune district of Maharashtra. 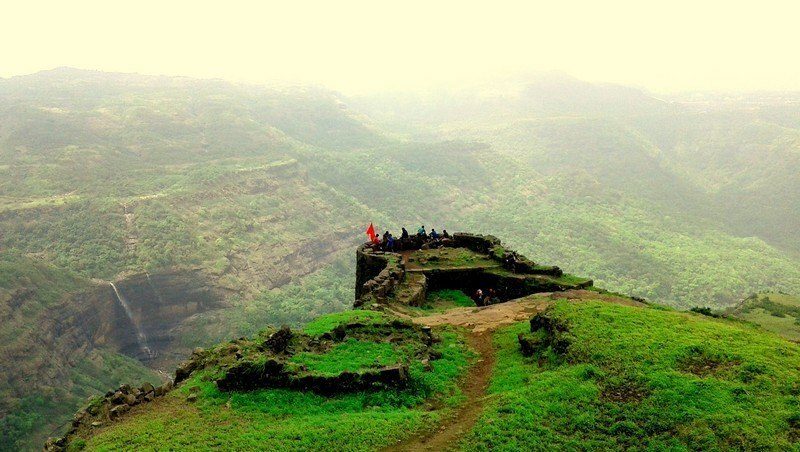 Situated at an altitude of 929 m, Korigad is one of the popular forts near Lonavala and also one of the famous weekend getaways from Pune and Mumbai, well known for trekking. Its date of construction is not known but likely predates 1500 AD. This fort was taken over into his kingdom by Chhatrapati Shivaji along with the forts of Lohagad, Visapur, Tung and Tikona in 1657 AD. Later in 1818 AD this fort went under the British reign. The fort is in good condition and well maintained. There are many cannons, temples and small caves on the fort.